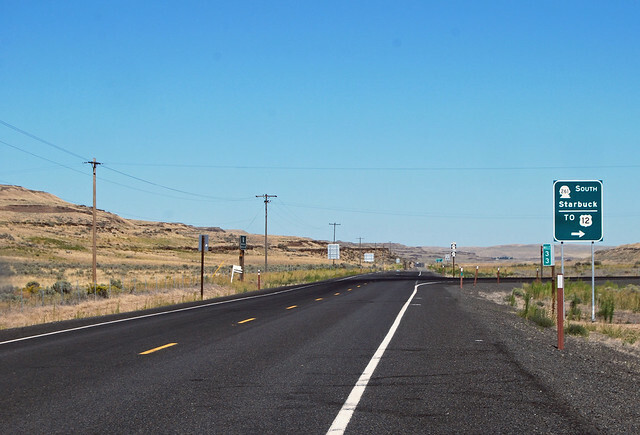 On Saturday, August 31, 2013, we drove Washington Highway 260 across the fields of eastern Washington, heading up along the Washtucna Coulee. 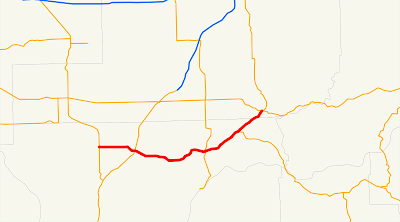 Beginning at a junction with state route number 17 west of Connell, thence easterly to a junction with state route number 395 in the vicinity of Connell, thence northeasterly by way of Kahlotus to a junction with state route number 26 at Washtucna. 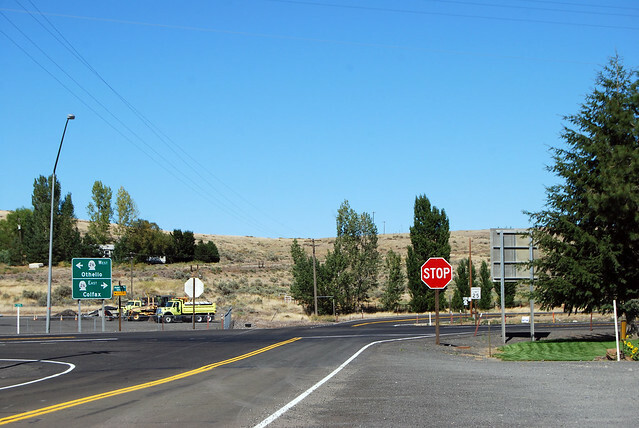 Out on the plateau west of Connell, we begin our drive at a junction with SR 17. The trees of civilization are on the horizon. Down the bumpy road we drive, past miles of green fields, seemingly endless in all directions. But suddenly we find a hole in the earth. 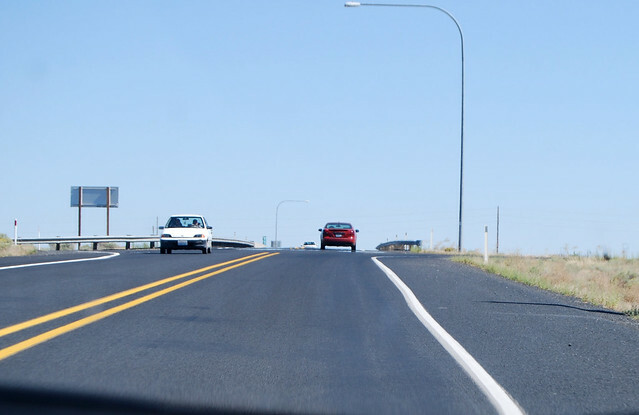 After curving down toward and around Connell, we arrive at the interchange with US 395 on the south side of town. Spokane? Pasco? Nah, we're going to Washtucna! Highway 260 cuts up into the hills as the canyon known as Washtucna Coulee forms to our left. It feels like we're on top of the world and the world is golden and smooth -- except for that canyon to our north. We slalom through the power lines. Dust devils abound. Abruptly Highway 260 turns down into the great hole and we arrive at Kahlotus and the junction with SR 21. At the other end of town, we find the junction with SR 263. I have a feeling we'll be back here soon. With Kahlotus behind us, we head up the cliff-sided, dry valley past scattered farms. 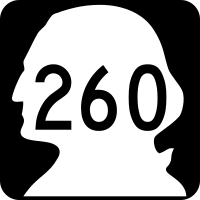 Before too long, we arrive at a junction with SR 261. I have a feeling we'll be back here soon. 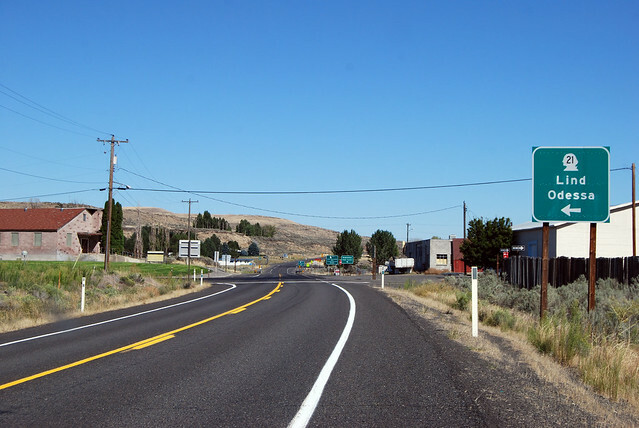 Note that the sign mentions US 12, even though it's far away, since Highway 261 is one of only a couple crossings of the Snake River between the Tri-Cites and Clarkston. We soon arrive in Washtucna and drive slowly through town. The place feels half-abandoned, but maybe that's just because everyone has somewhere better to be than hanging around Main Street on a Saturday afternoon. Highway 260 ends at this junction with SR 26. Would you like to go to Othello or Colfax? 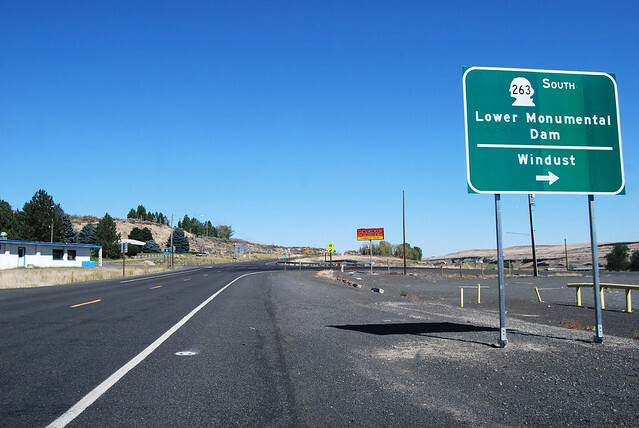 Note that the sign doesn't mention Ritzville, which is where SR 261 will take you, if you head straight ahead. I don't recall seeing an "End 260" sign, but I guess they don't want any confusion because Highway 261 is signed as this same road, and it doesn't end here. 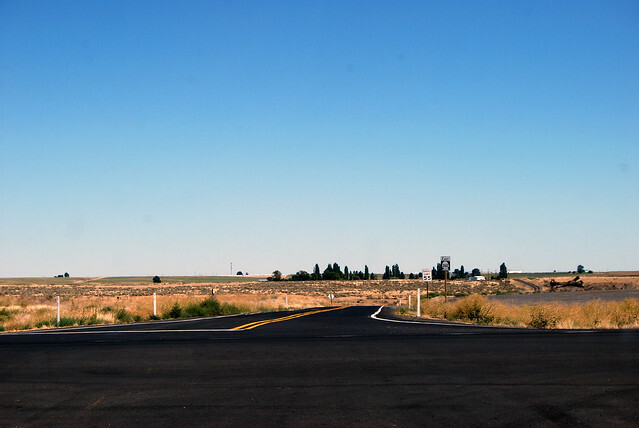 Just another peaceful drive across the farmlands of eastern Washington. 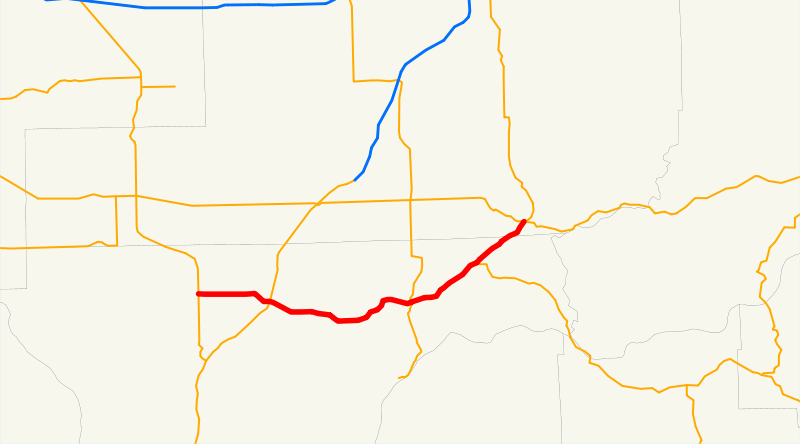 A scenic and curvy alternative to boring Highway 26, perhaps?